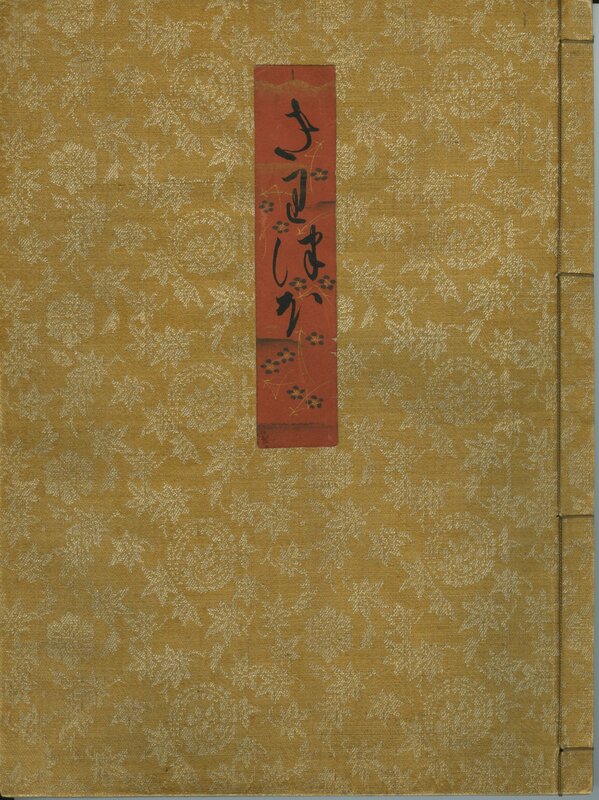 Description	 MS in Japanese on paper, Mikawa province, Japan, 17th c., 54 vols. (complete), 25x18 cm, 9 columns, (20x14 cm) in Shodo, calligraphic cursive script. Binding	 Japan, 18th c., yellow silk brocade covers, stitched on 4 stations (xian zhuang) with the original 17th c. title labels of red paper with gold decorations, all contained in an 18th c. brown lacquer box with 6 drawers, 43x43x30 cm, with 5-petalled plum blossom decorations in yellow and brass fittings engraved with scrollwork decorations and the same plum blossoms, Matsudaira clan, and with title in Shodo script. An exhibition stand below the drawers. Context	 MS 5328 is a copy of chapter 20 of the same tale. Provenance	 1. Tokugava shogun Tsunayoshi (1646-1704); 2. Tokugawa Ienobu (1709-1712); 3. Unknown Matsudaira of Tokugawa shogun (1712-1884); 4. Tokugawa Iemasa (1884-1963); 5. Tokugawa Tsunenari (1940-); 6. Tokyo Koten Kai (The league of rare book sellers, Tokyo), auction at Tokyo Kosho Kaikan 14.11.2008:4; 7. Isseido Booksellers, Tokyo 2008-2009, acquired Dec. 2009. Commentary	 The Tale of Genji is considered to be the supreme masterpiece of Japanese prose, one of the world’s greatest novels, and the greatest work ever of a female author. Murasaki Shikibu finished her work, also considered to be the world’s first novel after the ancient period, in 1021. Her real name remains unknown. She is named after the beloved wife of Genji, Murasaki. 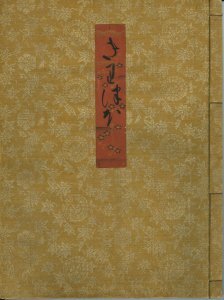 The work recounts the life of Genji, the second son of the Japanese Emperor and comprises some four hundred dramatis personae. The gigantic work is in 54 chapters with a separate volume for each chapter, and belongs to the Aobyshibon recension. There are some 300 MSS, the oldest fragmentary copies from 13th c., while an illustrated scroll from the 12th c. survives as well. All the MSS have differences from each other. 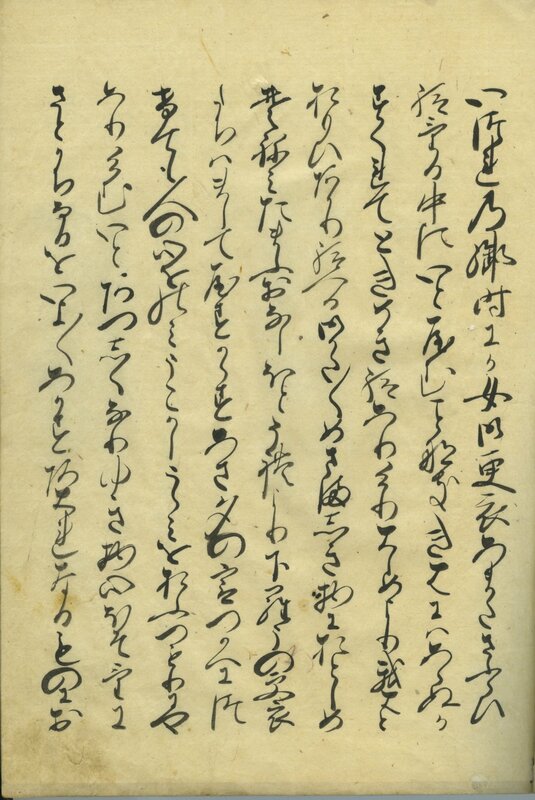 They are classified into 3 main text recensions: Kawachibon, based on the Chikayuki MS edited 1236-1255; Aobyoshibon recension, based on the Teika MS, the most conservative version believed to best represent the lost autograph; and Beppon recension, representing all other mixed MSS as well as commentaries. The provenance is somewhat tentative as there are several clans that used the plum blossom on the box, but the main clan is Matsudairo.